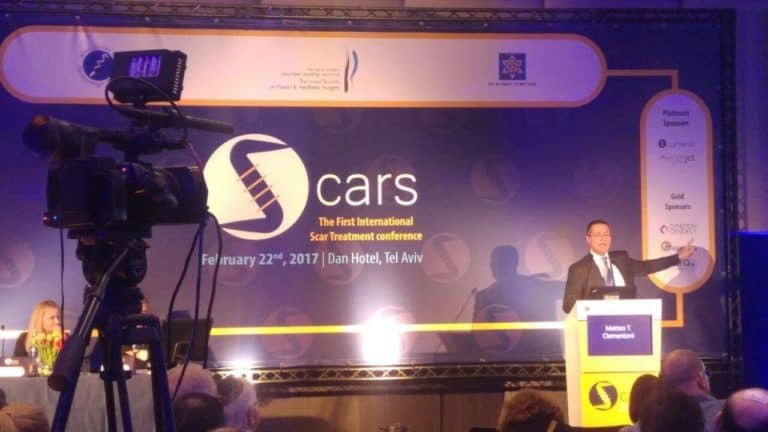 Lumenis Ltd., the world’s largest energy-based medical device company for surgical, aesthetic, and ophthalmic applications, announced that it will be supporting the first International Scar Treatment Conference in Israel, which will be held in Tel Aviv, on February 22nd, 2017. The primary focus of the conference is an interdisciplinary approach for successful management of scars, and it will feature many key scar experts from around the world, including Dr. Peter Shumaker (US), Dr. Jill Waibel (US), Dr. Matteo Tretti Clementoni (Italy), Dr. Gerd Gauglitz (Germany), Dr. Ofir Artzi (Israel) and more. Many of the panelists and attending physicians who regularly use the Lumenis® UltraPulse® in their practice for the treatment of scars, will be featuring the technology for scar revision during the conference. Quickly becoming the standard of care for scar patients around the world, the Lumenis® UltraPulse® has multiple options for maximum versatility, speed, and efficacy. The Lumenis® UltraPulse® SCAAR FX™ has the deepest impact per pulse for treating thick, complex lesions, helping to change the quality of care and life of these severe scar patients. International Scar Treatment Conference attendees are invited to attend sessions and workshops featuring a variety of Lumenis systems for skin and scars treatment including UltraPulse®, the most powerful CO2 laser in the aesthetic medicine, AcuPulse™ -MultiMode™ SuperPulse™ CO2 Laser and M22™ – modular multi-application system for the treatment of over 30 skin conditions. The full agenda can be found here. For more information about the Lumenis family of fractional ablative laser resurfacing products and its portfolio of innovative scar treatment solutions, please visit the Lumenis booth # 6-7 at the conference, presented in cooperation with Alphamedix, the Lumenis distributor in Israel.